New Hope for Children Orphanage: Without New Hope, Aishwarya would have to beg on India streets: now, you can be her new family! Without New Hope, Aishwarya would have to beg on India streets: now, you can be her new family! My name is R. Aishwarya . I am 10 years old and studying in 6th grade. I come from a very, very poor family, who could not provide food or clothing for me. When I had no hope, New Hope home gave me hope for the future. I am in need of a Sponsor. I have been waiting for 7 months to find a sponsor. 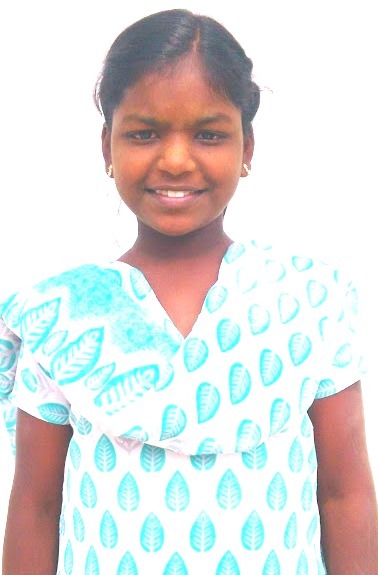 PRAISE GOD... AISHWARYA HAS FOUND SPONSOR!